Adam Bryant conducts interviews of senior-level executives that appear in his “Corner Office” column each week in the SundayBusiness section of The New York Times. 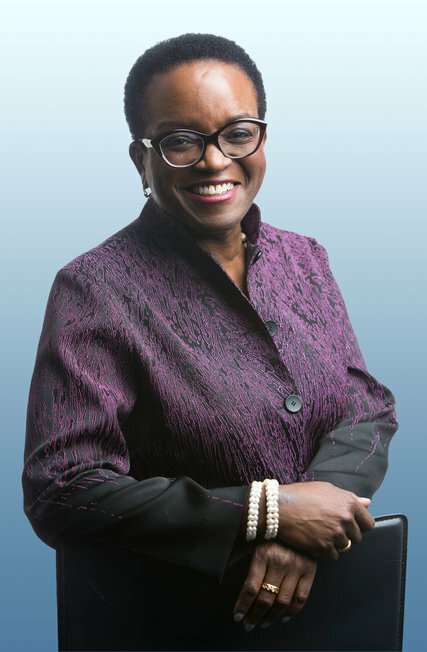 Here are a few insights provided during an interview of Valerie Smith , president of Swarthmore College) in “The Corner Office.” To read the complete interview, check out other articles, and obtain subscription information, please click here. I grew up in Brooklyn, the eldest of three children. I started school young and skipped a couple of grades. I graduated from high school at 15. I was kind of nerdy. I loved to read, I loved school and I loved exploring the city. My parents gave us a lot of latitude and let us explore the city. Back then, they felt the city was pretty safe. My mother was an elementary schoolteacher and my father was a biology professor. They both grew up in Charleston, S.C., and moved to New York looking for greater opportunities. That example of openness to adventure inspired me and gave me a willingness to take chances. My mother always admonished us if we said mean things about people we didn’t like. She always would say that everybody has some good quality. I tend to be very literal-minded, so I developed this habit early on of looking at people, even when I wasn’t feeling terribly warmly toward them, to try to find that good quality about them. My parents also raised us to never take our good fortune for granted or to be overly impressed with our own gifts, and to appreciate the fact that any success we had was the result of the sacrifices that people had made on our behalf. I didn’t really. I knew that I was likely to be an English major. I loved languages so I took a lot of French. The pivotal decision that I made was to study abroad, in England. That was one of the most meaningful experiences of my life because it turned me into a traveler. It gave me a high degree of confidence in my ability to adjust to completely different cultures. You were a professor before taking on more administrative leadership roles. What made you decide to switch? I loved teaching and mentoring students, but I also realized that I had the ability to make a difference in terms of creating communities that were more inclusive and that helped advance the institutional mission.